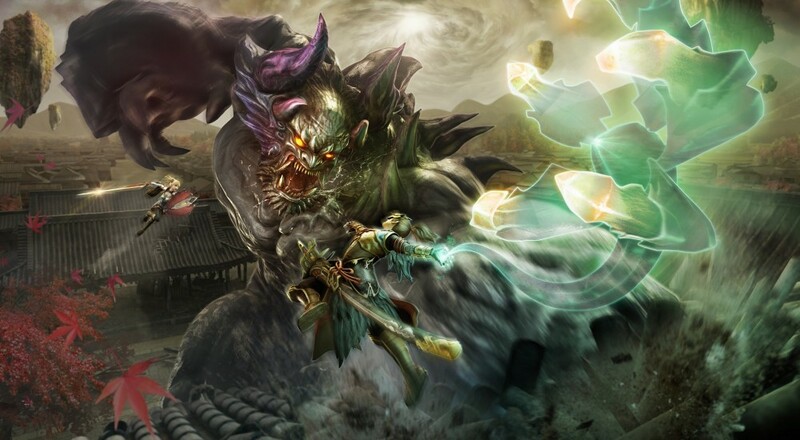 Rather than focusing on the grind for materials so prevalent in Monster Hunter style games, Toukiden 2 does something revolutionary: it concentrates on the more fun experience of slaying big creatures with your friends. Jason and Matt share their thoughts. Getting into Toukiden 2’s co-op experience isn’t entirely easy if, like me, you’re a newcomer to the series. While the game’s story is new and has little tie-in (outside of a couple returning characters and mentions to the previous village) to the last game, it feels like there is some assumption that you’ve played Toukiden when it comes to the actual action. The first hour or so of playtime is devoted to a series of story missions that double as a tutorial for some of the new features, like the “Demon Hand,” but there’s an underlying sense throughout that you already know what you’re doing and just adding this new info on top of that. 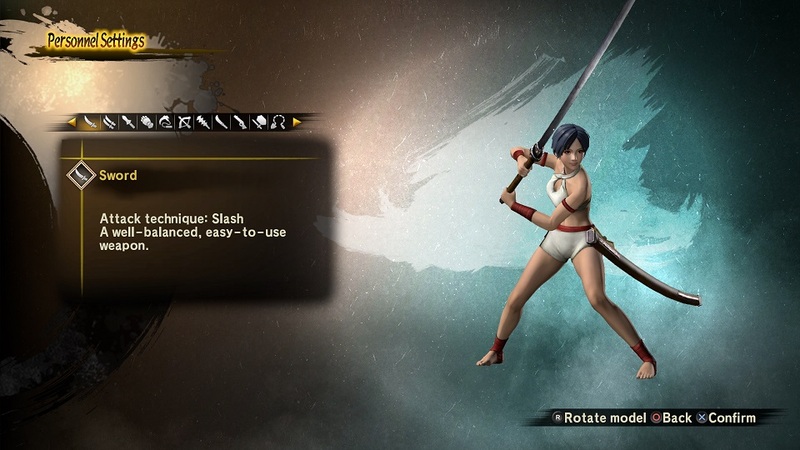 Even the character creation menu seems to assume some familiarity with the Toukiden series. You’re asked which of the 11 different weapons you wish to use with little explanation given as to the different attack techniques (Slash, Thrust, and Crush) mean or why you might choose the spear over the chain and sickle. Once you get into the prologue mission, you’re provided the basics for how to attack and use special weapons, but not every weapon is straightforward and some require a little more finesse/understanding to use properly. Add to that an array of special abilities provided to you based on which Mitama you have equipped (an important system that is not adequately explained in the tutorial missions), and it’s all a bit overwhelming. That being said, it’s worth sticking things out through that first hour until you’re given free reign about Mahoroba Village (the hub town/main base for Toukiden 2) and you gain access to additional tutorial missions via an NPC. These tutorials cover all the different weapons and Mitama special abilities, including how to properly use them, and are an invaluable resource for new players. While the fun of playing the game with friends stems from working together to bring down oni, the core of that experience stems from the builds and, in a way, roles you can create for your group via the Mitama. Mitama are the souls of famous Japanese historical figures and heroes (think Oda Nobunaga and Hattori Hanzo) that confer bonuses to your character via “Boosts” and determine what special skills you can use in combat. Those Boosts encompass an array of passive abilities that make your special skills more effective, or increase your overall health/defense/attack, or even give you certain attack bonuses with certain weapons. For instance, the Plunder Mitama has special abilities that will cause oni body parts to instantly purify when they get removed, while the Attack Mitama increases your overall damage. With over 200 Mitama to find in the game, too, there are a lot of Boosts to be had and they combo in some pretty interesting ways. Whether you're playing single-player or co-op, you'll be using your weapons and Mitama to face off against supernatural creatures known as oni. Every oni in the game has its own set of unique attacks, strengths/weaknesses, and materials you can acquire from successfully hacking off a limb and then “purifying” it, which in turn lets you craft all kinds of weapons and armor. Removing parts from the large oni is also important as it exposes their “life force” and makes it possible for you to kill them. As you progress the story campaign, or the separate co-op missions, the oni get tougher and more dangerous, and require even greater coordination to take down. Though the campaign is a single-player only affair, it's worth playing through, both because there are some campaign-specific Mitama to acquire and because the story touches on some interesting and surprising topics, like nativism vs. immigrants. All of the gear you craft, money you earn, and Mitama you acquire from the campaign will carry over into the co-op missions (and vice versa). Page created in 0.9642 seconds.